“One in 4 people with diabetes in the US are rationing insulin”, announced US Congresswoman Diana DeGette* (D-Colorado,) Chair of Energy and Commerce’s Oversight and Investigations subcommittee to open the hearing, “Priced Out of a Lifesaving Drug: The Human Impact of Rising Insulin Costs” (view stream of hearing below). The goal of the hearing? To address the consequences of rising insulin costs. Approximately 30 million people live with diabetes in the United States and about 7.4 million rely on one or more formulations of insulin. When people with diabetes go without insulin, or ration their doses, there can be tragic consequences. People with type 1 diabetes require insulin every day to avoid complications, Diabetic Ketoacidosis (DKA) and death. When the discovery of insulin was made in 1921, co-inventors Banting and Best wanted everyone who needed the medication to be able to afford it. To achieve this, they sold the insulin patent to the University of Toronto for a single dollar. Nearly 100 years later, people can pay beyond $400 per month for their insulin requirements. The estimated manufacturing cost of most insulin, human and analogue, range from $2.28 to $6.34 per vial. In the past two decades, prices for the most commonly prescribed insulins have increased from about $20 per vial to over $250 per vial—a more than 700% increase after adjusting for inflation. 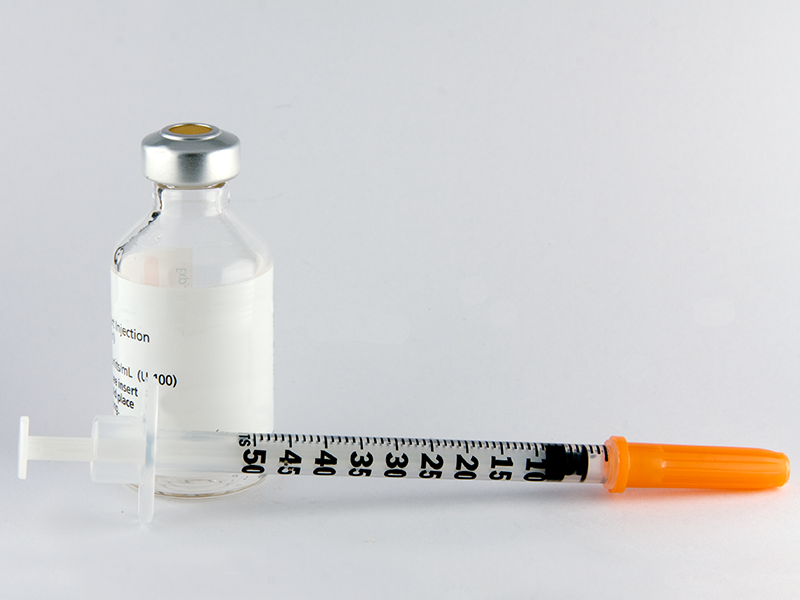 Factors that contribute to the price of insulin include lack of transparency in financial agreements between stakeholders in the supply chain, geographical differences in cost, and variations in insurance coverage. Sadly, it is hard to decipher what price for insulin a person with diabetes pays at the point of sale. A combination of factors drive final price: rebates, fees negotiated among the supply chain stakeholders and the insurance status of the person living with diabetes. Currently, nothing exists to sustain long-term affordability for insulin requirements of any person living with diabetes in the US. The estimated manufacturing cost of most insulin, human and analogue, range from $2.28 to $6.34 per vial. In the past two decades, prices for the most commonly prescribed insulin has increased from about $20 per vial to over $250 per vial—a more than 700% increase after adjusting for inflation. Some of the most compelling testimony at the hearing came from Dr Kasia Lipska, Clinical Investigator at Yale University School of Medicine. Dr Lipska and her team found that 1 in 4 (25.5%) reported using less insulin than prescribed over the past year, specifically because of cost. Insulin rationing was common across all different prescription coverage plans and across most demographic factors. People with diabetes with annual income levels below $100,000 per year were more likely to ration insulin compared with people with incomes above this level. Not surprisingly, Dr Lipska found that people with diabetes who rationed insulin were more likely to have poor control of their blood sugars. *Rep. Diana DeGette (D-CO), is also chair of the House Diabetes Caucus. DeGette introduced a bill aimed at bringing down the cost of insulin. The bill would make permanent a new FDA policy which would speed up the approval of generic version of certain drugs.